A couple of days ago I received an email from Matt Parkins who works for the Woodland Trust in Fingle Woods. He sent me a couple of photographs of spiders he had found whilst checking the wooden dormice boxes which have been set up in the woods as part of a research and monitoring project of that species. Spiders can be notoriously difficult to identify from photographs – often you need to put a specimen under the microscope and look at features which are invisible to the naked eye. However these two species looked identifiable just from the photographs. As a result I sent a tweet asking for help – I knew the ID of one of the species but was uncertain of the other. Kevin Rylands and Matt Prince (both of whom are top Devon naturalists) came to the rescue. The species I was unsure of turned out to be very rare nationally and quite a find. I have since done a little research so that the species and the record can be put into context. 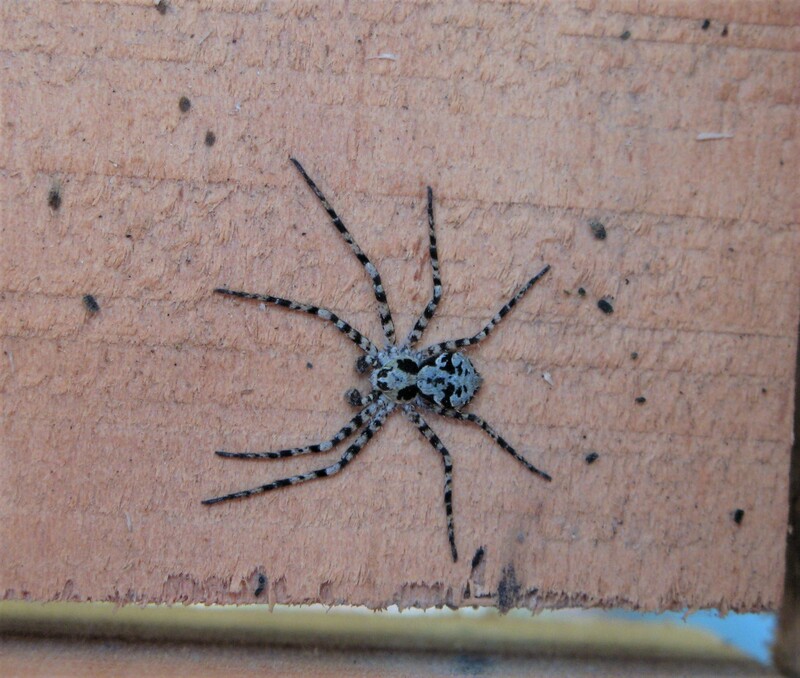 This is the rare one – it is the Running Lichen Spider Philodromus marginatus – it is very distinctive. This is a male and its body is around 4.5mm long – however if you add in its legs, it is around 1.5-2cm (over an inch) in extent depending on how it is settled. Photo copyright Matt Parkins. 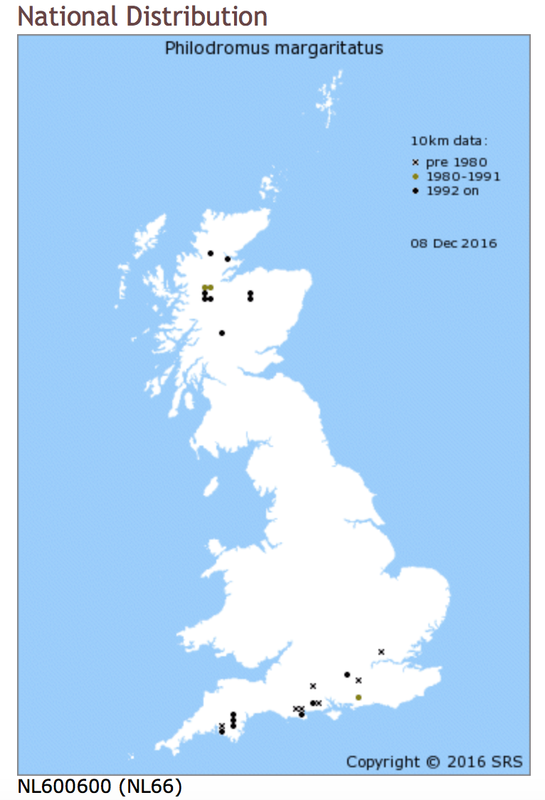 And here is the tetrad data, again courtesy of the BAS. 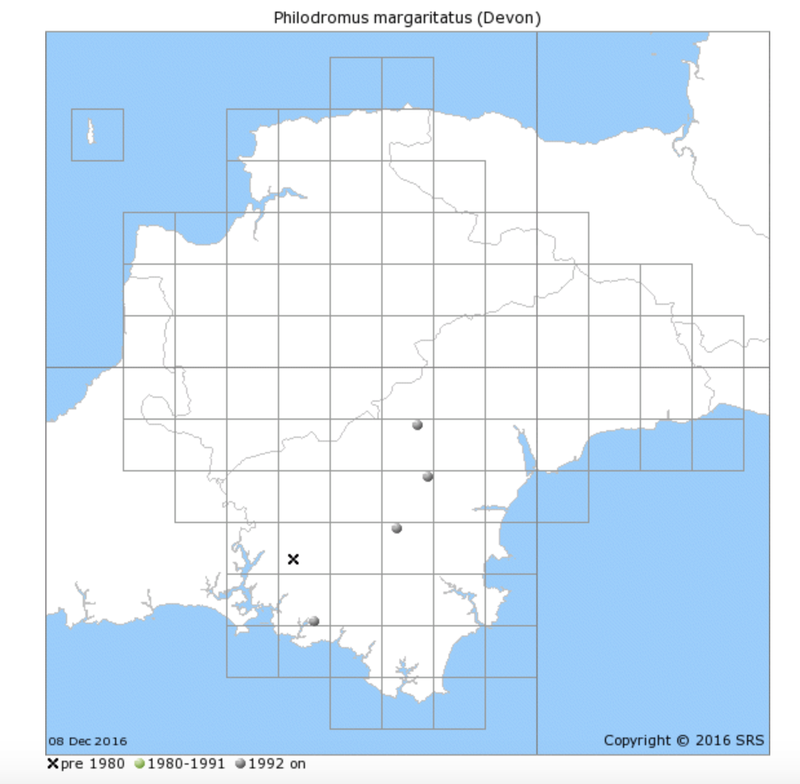 Nationally there are are now 57 records from 25 10km squares for this species. Only 15 (10km records) of these are post 1992 records. 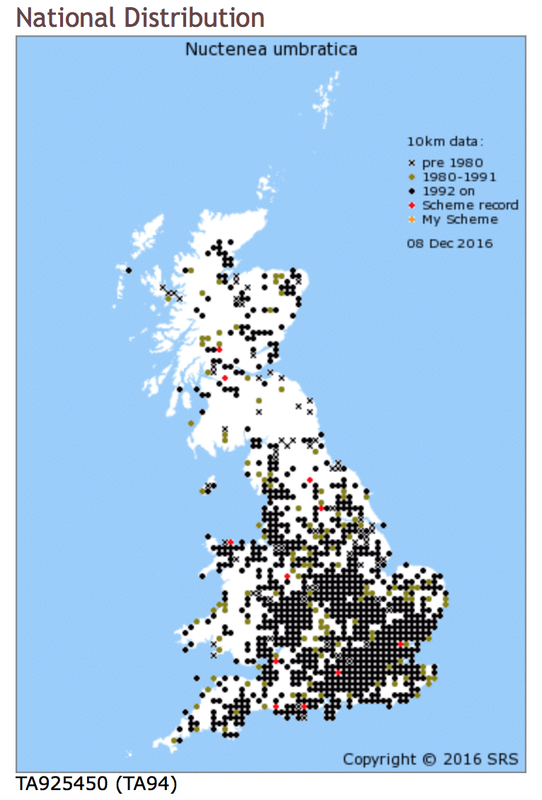 So Devon has over 25% of the post 1992 records in terms of distribution. 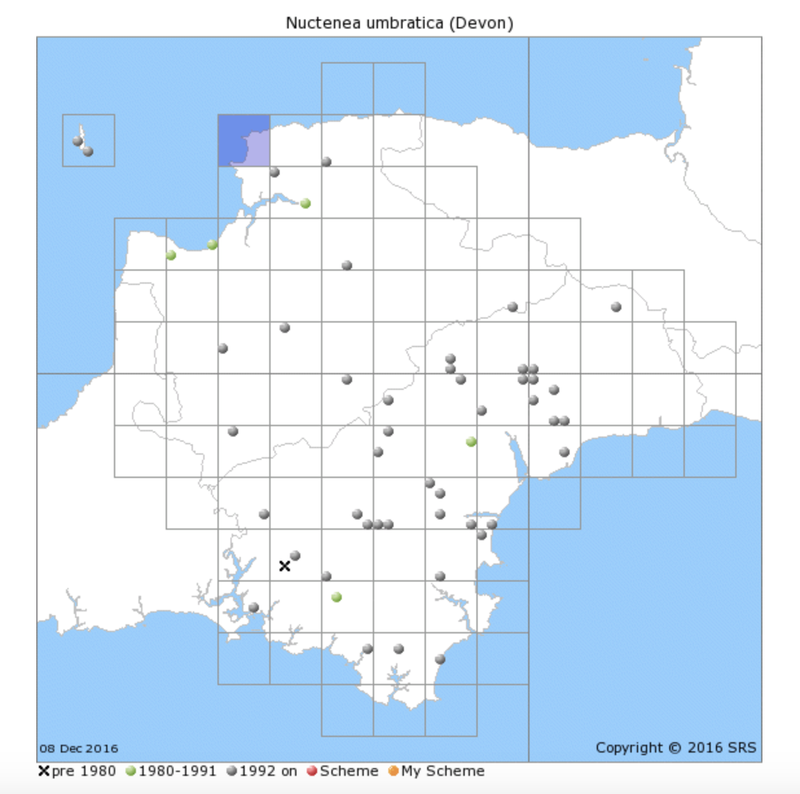 4 out of the 5 sites are on Dartmoor or their very near fringes. Surprisingly all the records, except for the Matt Parkins records, are for June to August which is in December. So, the question that hangs in the air …. is the Running Lichen Spider more common on Dartmoor than the records suggest? In theory there are many more place places where it could be. 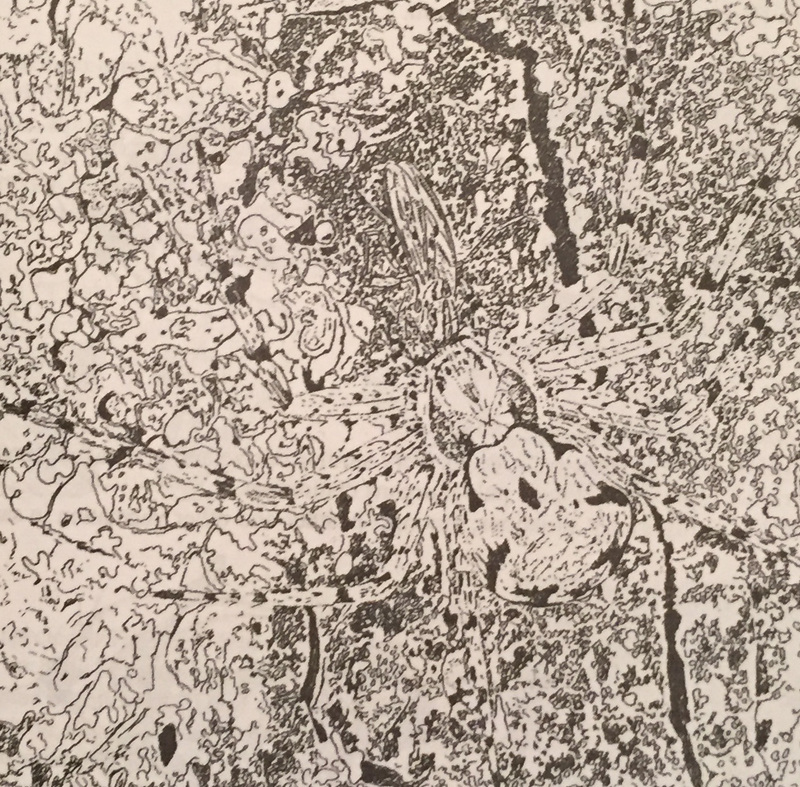 This illustration from Michael Robert’s book ‘The Collins Guides to Spiders of Britain and Northern Europe’ (a must have book for naturalists – see here) shows how cryptically camouflaged the species is. The fact that it has now been been found in constructed nest boxes might imply that this is an additional survey technique. 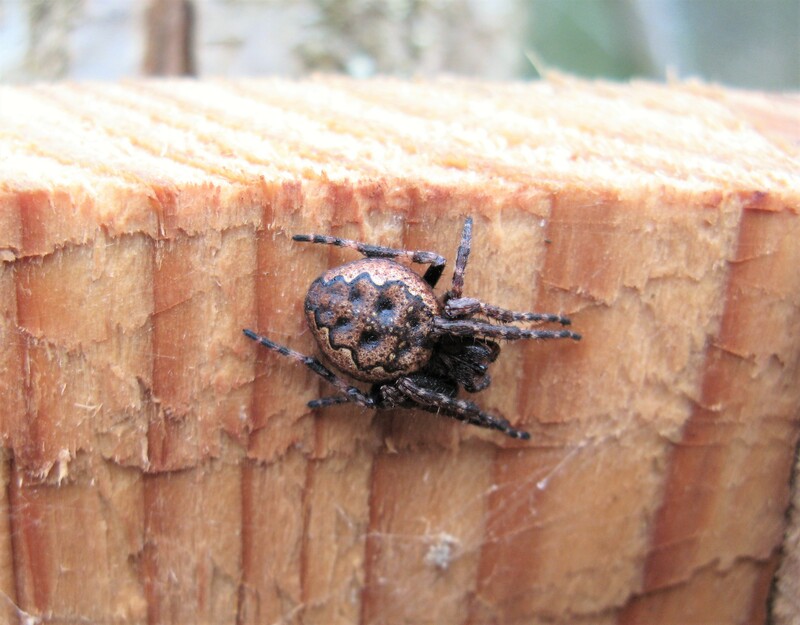 As a result we should try and ensure that dormouse workers and bird nest ringers are aware of this spider and keep an eye out for it when they are carrying out their nest box checks. The other species which Matt photographed was this one. Keep an eye out for both these species and let me know if you find them. We had friends and family around yesterday for lunch. At one point a very large spider was spotted on the gate into our garden – it caused a bit on consternation on account of its size – around 20mm long just for the body. 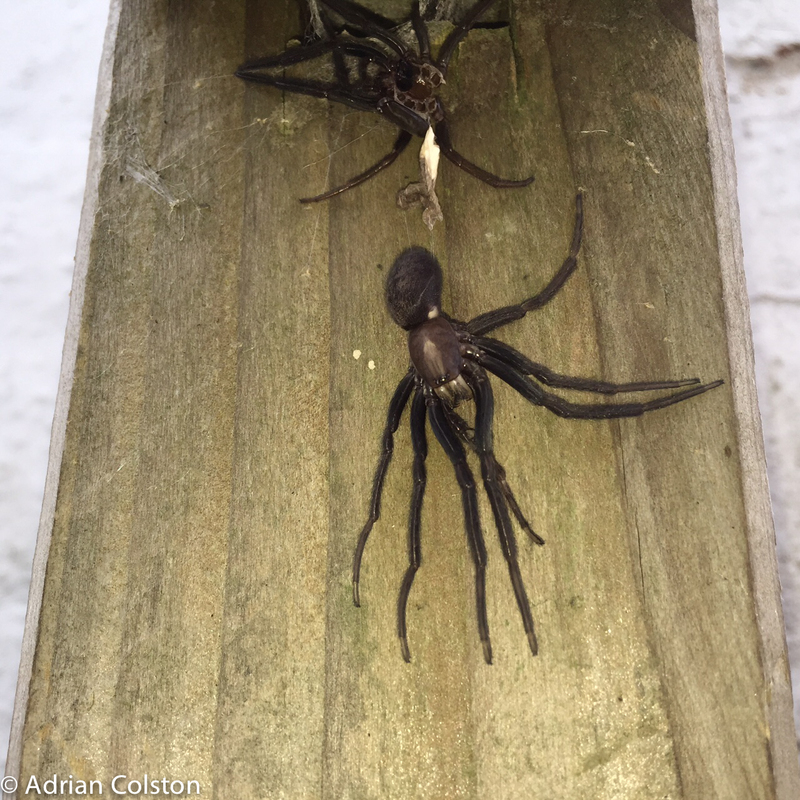 I took a few photos – the spider was clearly shedding its skin – the method that invertebrates such as spiders use to grow larger – their exoskeletons are rigid and need to be discarded so that the animal can then inflate itself, grow bigger and then dry out thus forming a new larger rigid exoskeleton. You can see the old exoskeleton at the top of the picture – the spider is hardening up its new inflated exoskeleton below. It is living in a hole in the gate just above the old exoskeleton. I have never seen this species before but it is Segestria florentina. Originally this species lived around the Mediterranean but was inadvertently brought to this country in the 1800s on sailing ships – it is limited to the coastal ports of southern England. It is well known from Exeter where it was recorded in 1890 on Exeter Cathedral. It also lives in the old walls along the Quay in the city. We live close to the Exe in Exton – so this ties in with its known distrbution. It is reputed to have a nasty venomous bite! For more information see here and here.